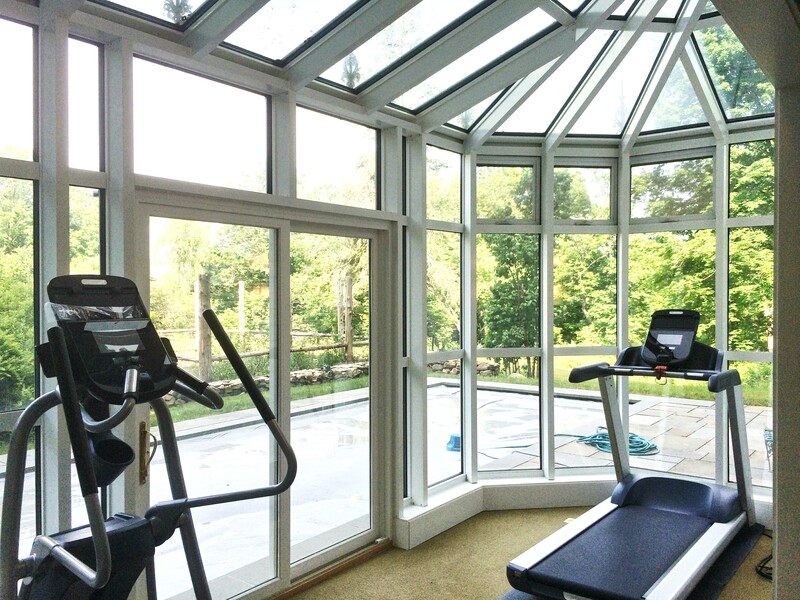 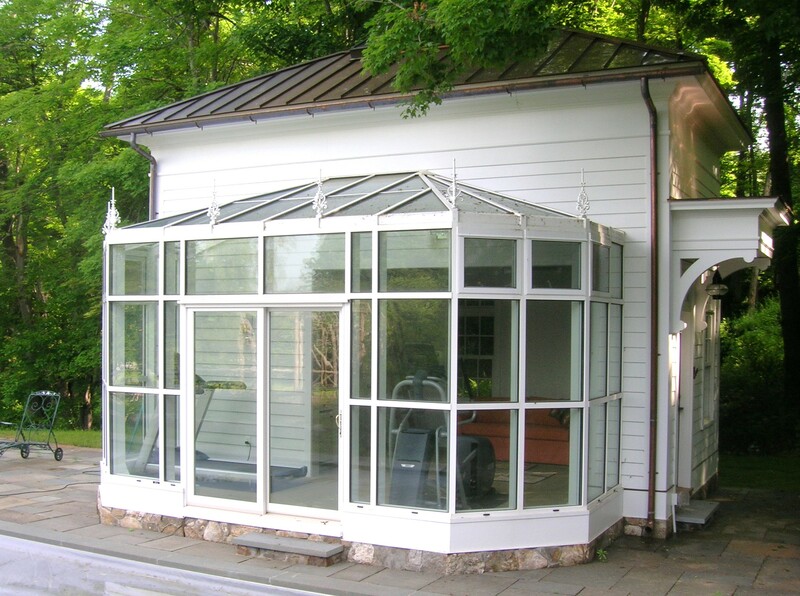 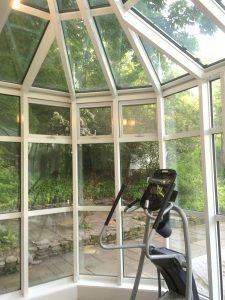 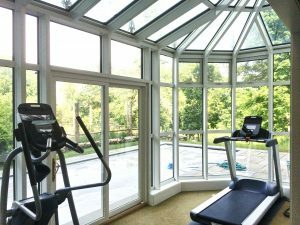 Nestled pool side, a prefinished maintenance free brilliant white octagonal conservatory exercise room extension adorns this pool house and formal gardens. 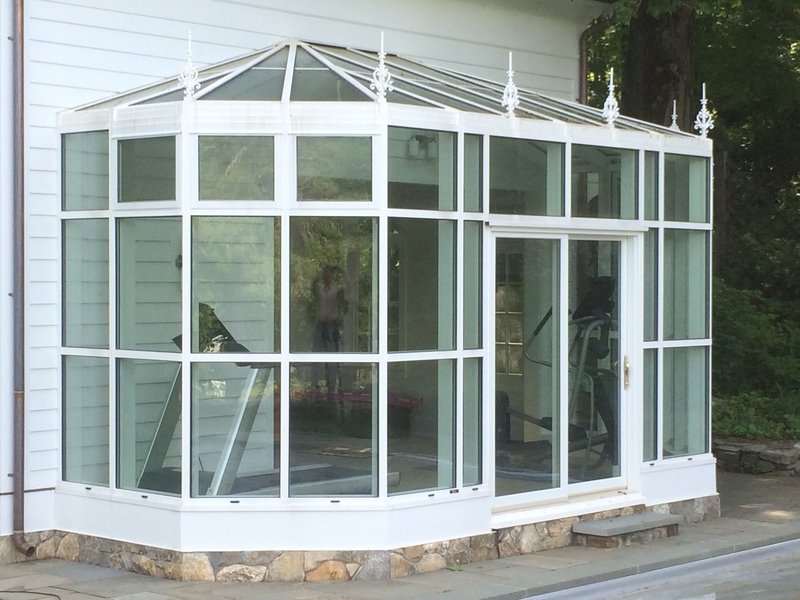 Features include pre-cast imported Edwardian finials, thermally broken aluminum framing, hi-side custom awning windows, Clima-guard solar control glass and architect series slider door set. 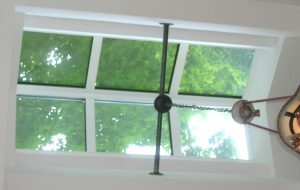 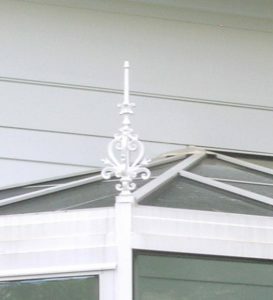 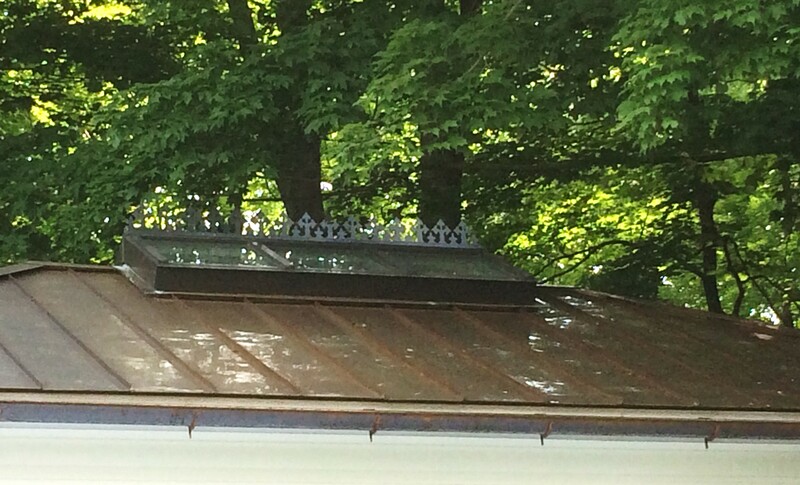 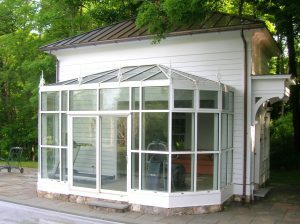 The pool house is also topped with a custom gable skylight for additional interior lighting.